In the south-west corner of the church. 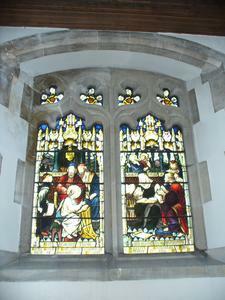 Stained-glass window with two trefoil-headed lights surmounted by four tracery lights above. 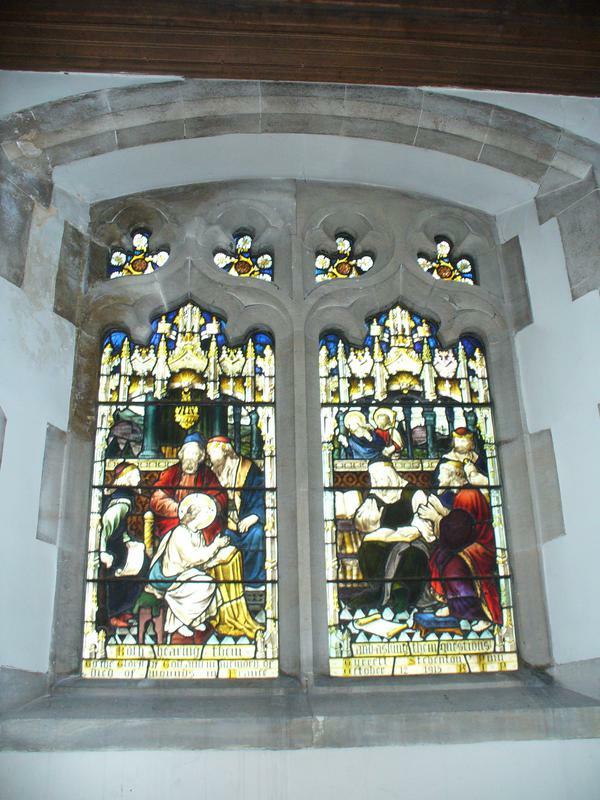 The stained glass shows a biblical scene from St Luke Chapter 2, Verse 46 where Jesus is in the temple with teachers engaged in discussion, below which is text and a dedication across the two lights. 2012: PCC has claimed responsibility.